If you have a few gardeners on your holiday gift list this year, we’ve got you covered! Below are 10 fun, useful, and affordable gifts for that special gardener in your life. 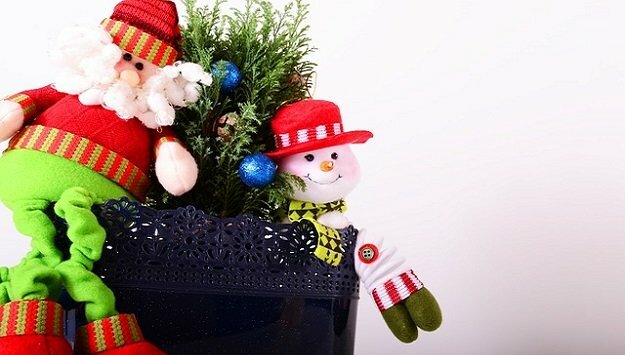 You’ll find gifts to fit any budget, for newbies to experienced gardeners, from fun to functional, and even some gifts to get your kids in the mood to garden. Give your knees a break with this comfortable and durable garden kneeling pad. It’s 1.5″ thick, and 18” x 11”, which is big enough that your knees won’t crowed and it is also lightweight and easy to store. The waterproof, quick-drying material is easy to clean and will last for years. Growing mushrooms is easy as can be with this simple indoor kit! You won’t need any fancy lights or equipment to grow your own, homegrown, organic, gourmet oyster mushrooms. Makes a great gift for a mushroom lover – even those with little-to-no gardening experience! This is a great affordable option for those starting seeds or growing a few plants in the backyard, deck, patio, or balcony. Tubular steel frame assembles in minutes – no tools needed. Size: 27″ Long x 18″ Wide x 63″ High. Okay, this journal doesn’t really have to be used for your garden – you can use it for anything – but it’s super cool for gardeners as the paper is 100% WATERPROOF so you can journal in your garden without worrying about damage! Plus, it’s also reusable if used with a Frixion pen – how awesome is that? This super-fun garden kit makes an awesome gift for kids and adult gardeners alike! Grow a rainbow of purple carrots, red Brussels sprouts, striped tomatoes, and more! Kit includes non-GMO seeds (20 seeds per variety) & supplies for starting seeds. Many kid’s garden tools are made of plastic or flimsy materials that quickly fall apart. Not these. This kit includes real garden tools in a smaller size perfect for kids. They are made of real metal and solid wood, and utilize Enhanced Binding Technology that won’t fall apart if they get left out in the rain. 8.) Funny Garden Sign – Gardening: Cheaper Than Therapy & You Get Tomatoes! Gardeners have a great sense of humor, don’t we? 🙂 This fun sign makes a great gift for any gardener. It is made of solid PVC fiber board, and comes with a linen rope for hanging indoors or outdoors. Size: 5″ x 10″. Bring your dream garden indoors with this mini indoor garden kit. Great for salad greens and herbs, and perfect for offices, bedrooms, small apartments, or for when the weather outside is too harsh! Includes an auto timer which keeps the lights on for 16 hours each day so you don’t have to worry about turning them on and off, and the LED lights simulate natural sunlight for vigorous plant growth. Each planter measures 16.5″ L x 5.6″ W x 11.4″ H.
This back-saving raised herb garden is a wonderful gift for those who have trouble bending over, or who may be confined to a wheelchair. This durable raised herb garden offers growing pockets for 8 different herbs (or salad greens), and provides easy access to your herbs even if you have limited mobility. It’s also a great way to grow herbs indoors, or on a patio or balcony. * Note: This post contains affiliate links. If you purchase anything through one of our links, we will receive a small commission at no extra cost to you. This helps with the cost of maintaining this site and bringing you helpful garden news and tips. We appreciate your support, and wish you a very happy and healthy holiday season!